My kids are going to love me this weekend! 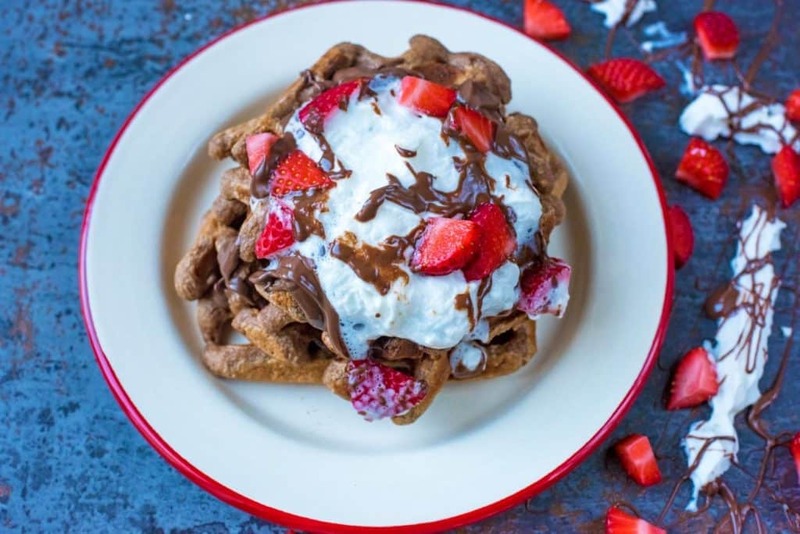 Nutella is a staple in our home but I have yet to use it at breakfast – so, so delicious! These are the best looking waffles! I have to try them! Man, these look like morning goodness — I would love to have a few of these and some hot coffee in the morning. Who am I kidding lunchtime is acceptable too lol. Oh my word!! 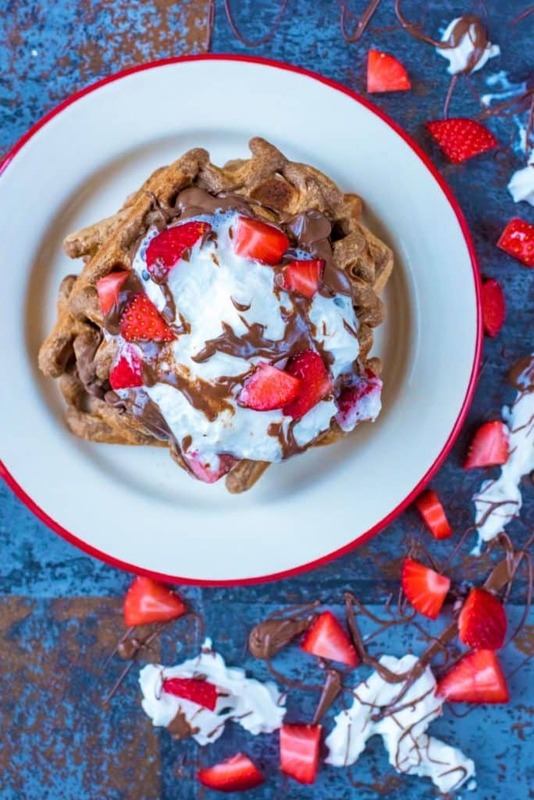 These waffles look simply amazing! 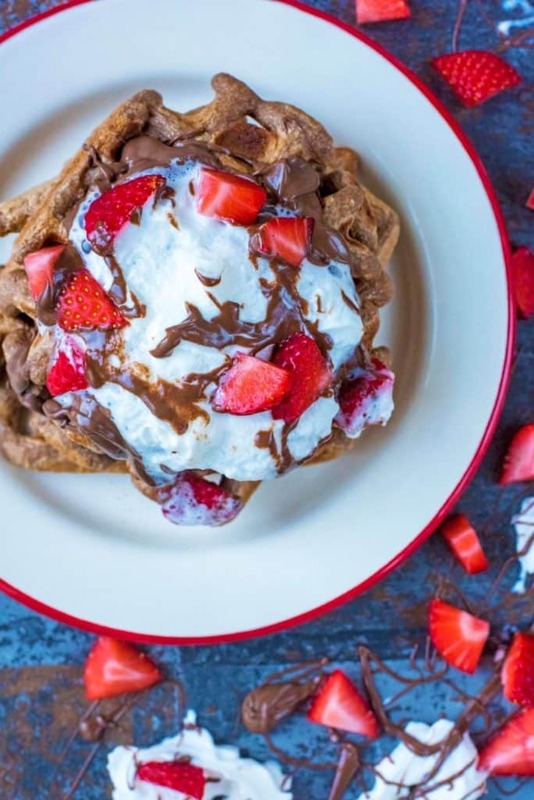 I love nutella but totally never thought about adding it to waffles or pancakes! Genius! If only you did a breakfast delivery service. I’m going to make these for Valentine’s Day breakfast and throw some raspberries on too. I have made my own Nutella before, but it wasn’t any healthier. I do find Nutella too sweet though, so I will try your version and hope that it isn’t as sweet. What a great idea to put some right in the batter. I can’t believe I’ve missed a Nutella Day! But definitely saving and making this recipe very soon! I saw this on Instagram, it’s National Nutella Day on February 5th, I had no idea! 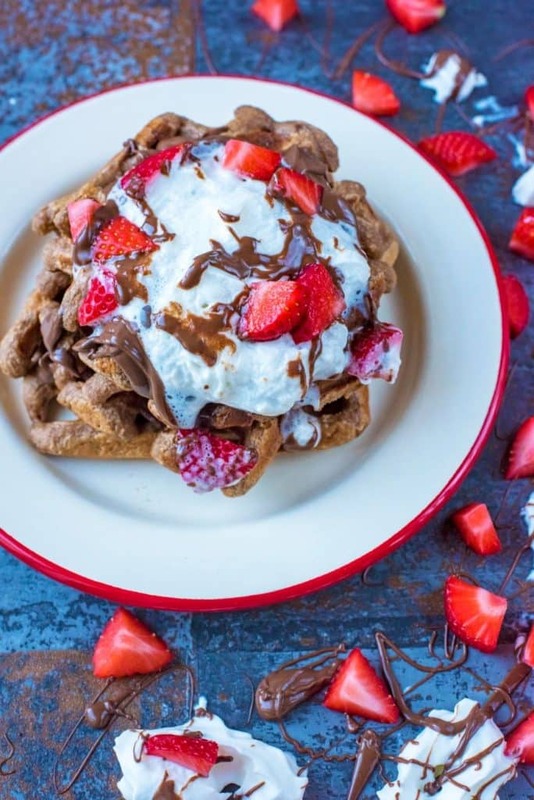 I love celebrating food holidays and these waffles look like a great way to celelbrate. I hope I don’t wait til next February 5th to make them! I haven’t long had breakfast and I am hungry again looking at this. 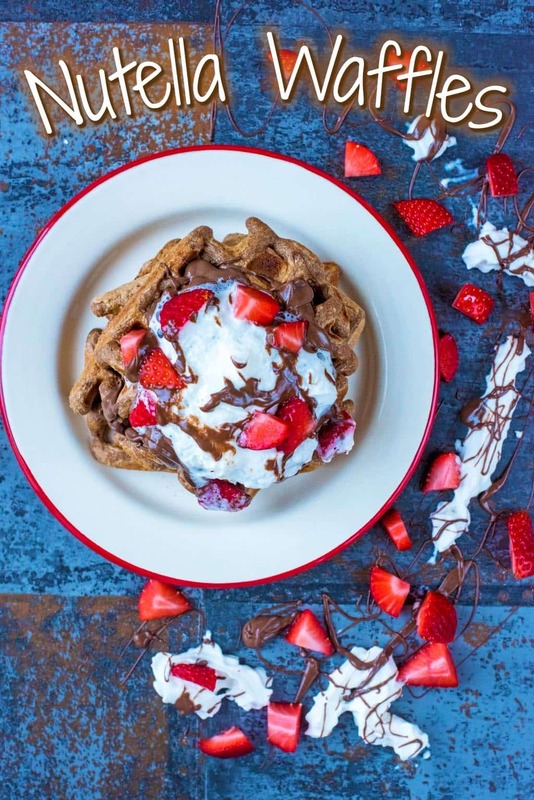 Homemade healthier Nutella? That is something I have to try. 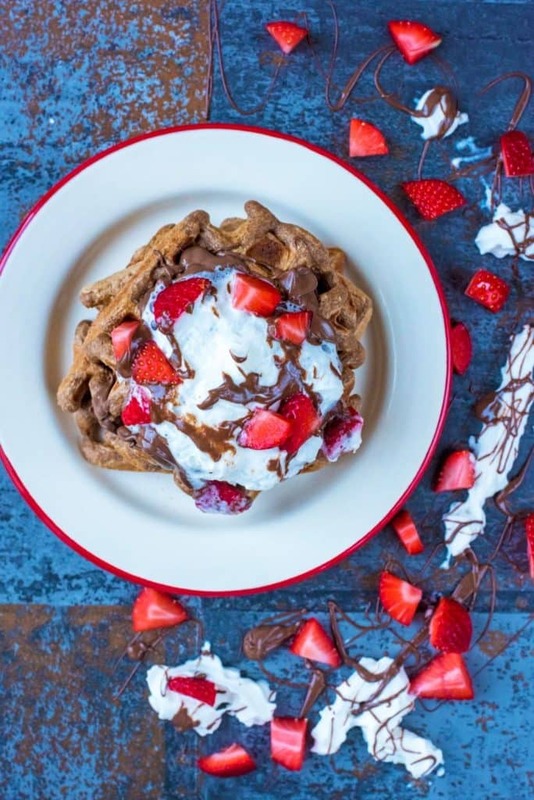 Nutella, waffles and strawberries – you’ve put together all the best things! 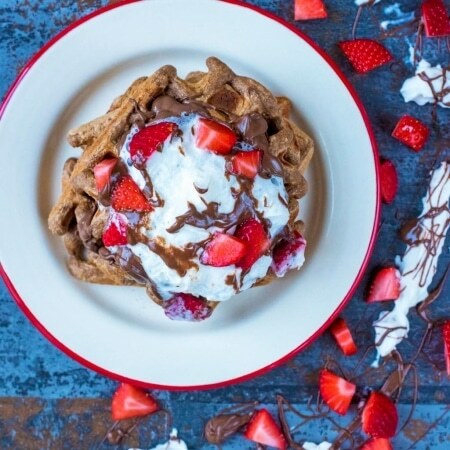 These look SO good, you’ve just given me the perfect Valentine’s breakfast recipe, thanks! We got a waffle maker for Christmas and I must admit that we haven’t used it yet. I will crack it open at the weekend and make these for my boys. I am sure they will be very happy about that.